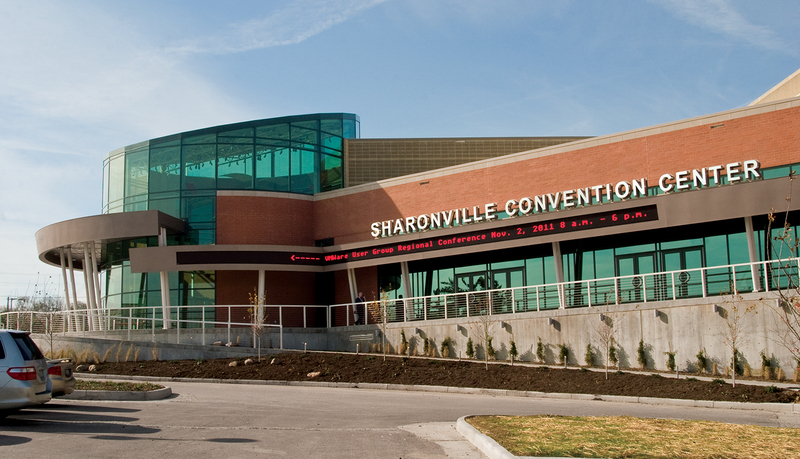 The Sharonville Convention Center is a multi-level convention that includes eight meeting rooms with 27,000 square feet of flexible space and state-of-the-art amenities to serves the needs of tradeshows, banquets and company meetings and events. 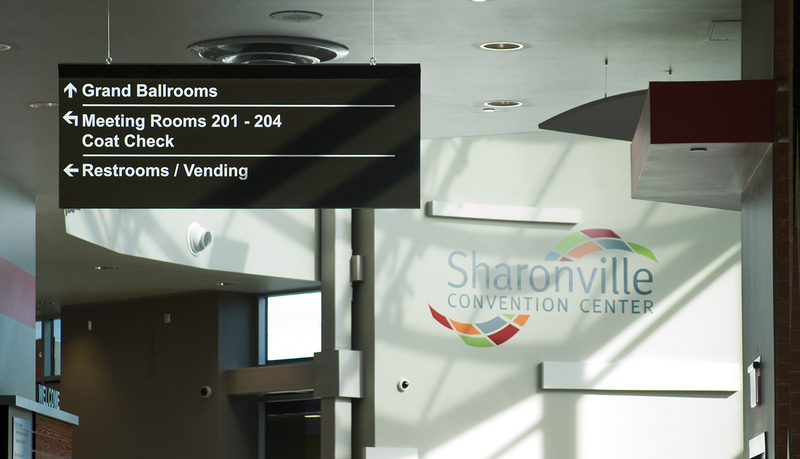 As part of a recent expansion and renovation, Sharonville Convention Center added 19 meeting rooms and 65,000 square feet of flexible convention space, including 20,000 square feet of exhibition space and a new 15,000 square foot ballroom. 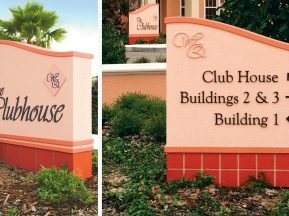 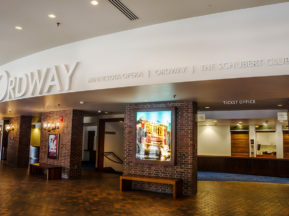 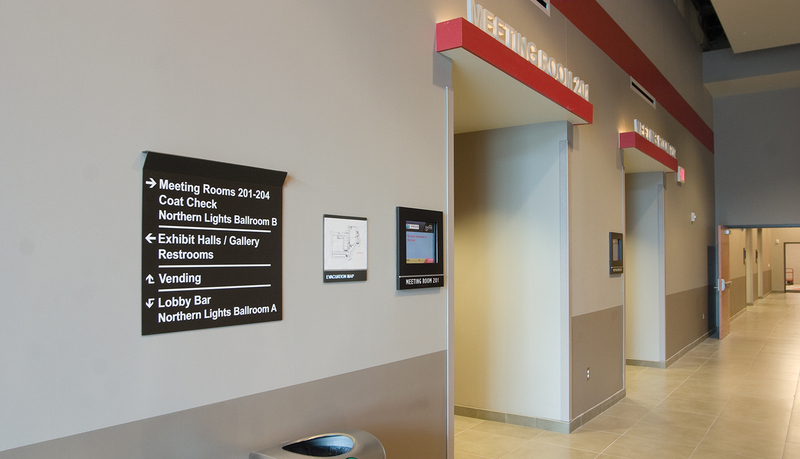 As part of the expansion and renovation, the wayfinding plan and architectural signage needed to be updated. 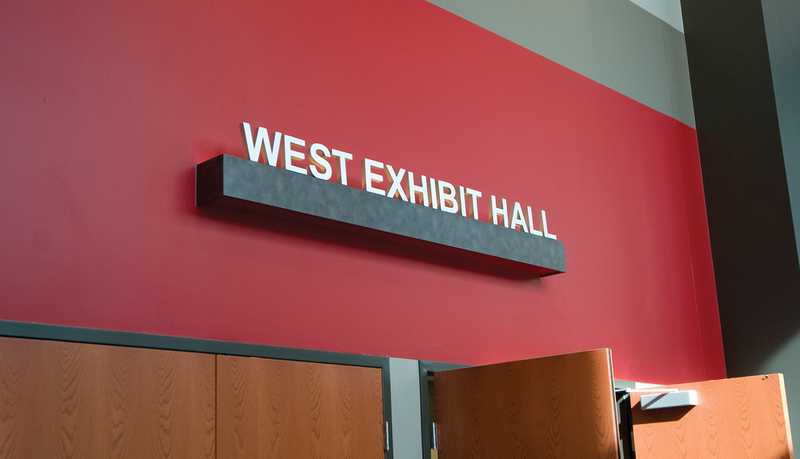 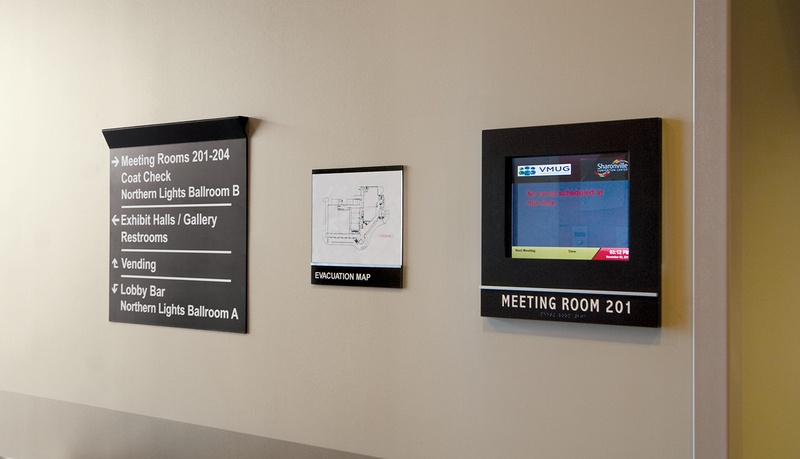 Because ASI had provided architectural signage for the convention center in the past, the convention center turned to Kolar Design and ASI to deliver an updated wayfinding and signage solution. 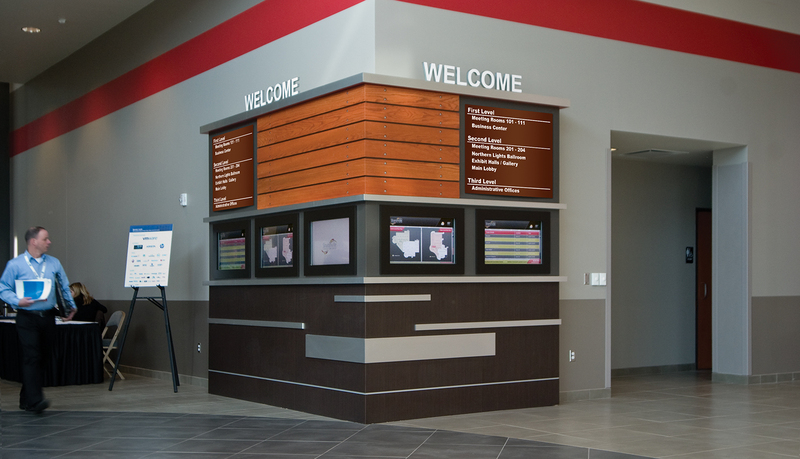 After evaluating the expansion efforts and the traffic flow throughout the center, ASI consulted with the environment graphic team at Kolar Design and produced a complete custom architectural signage solution for the interior and exterior of the center. 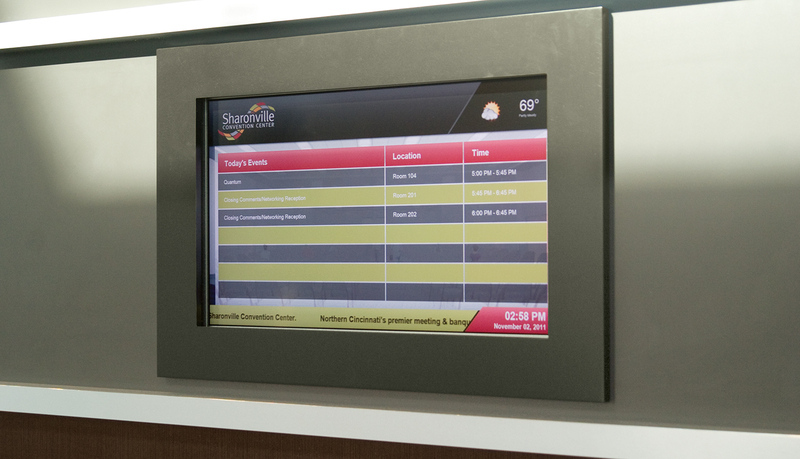 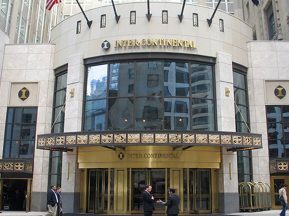 To help manage the constant information changes that a convention center requires, ASI provided a networked system of dynamic digital signage for the convention center. 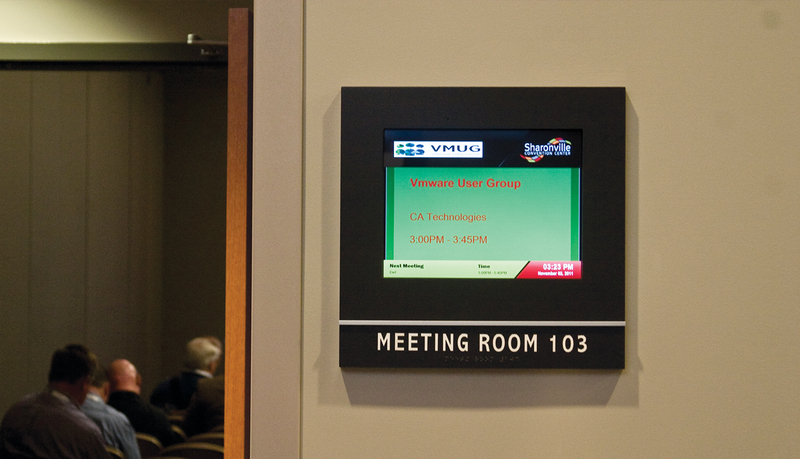 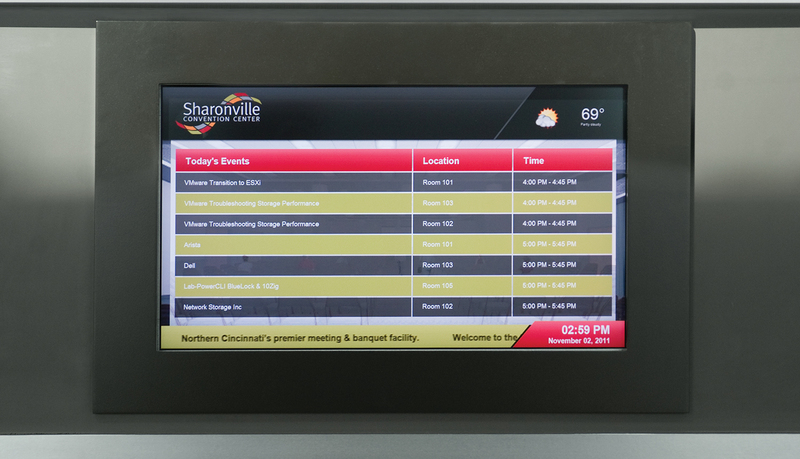 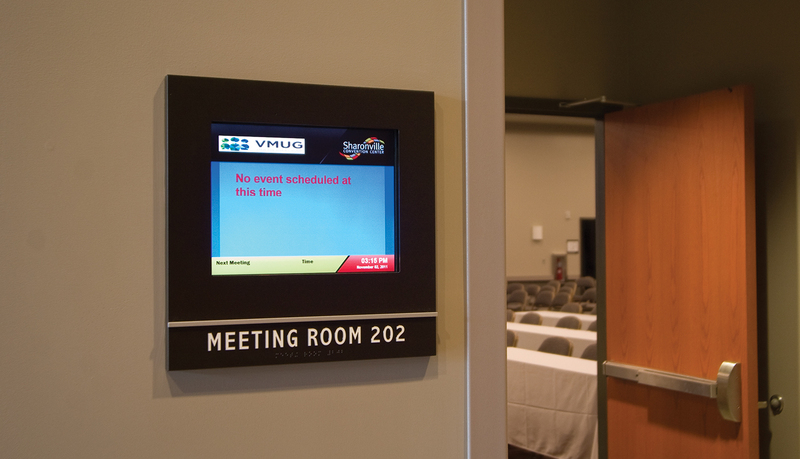 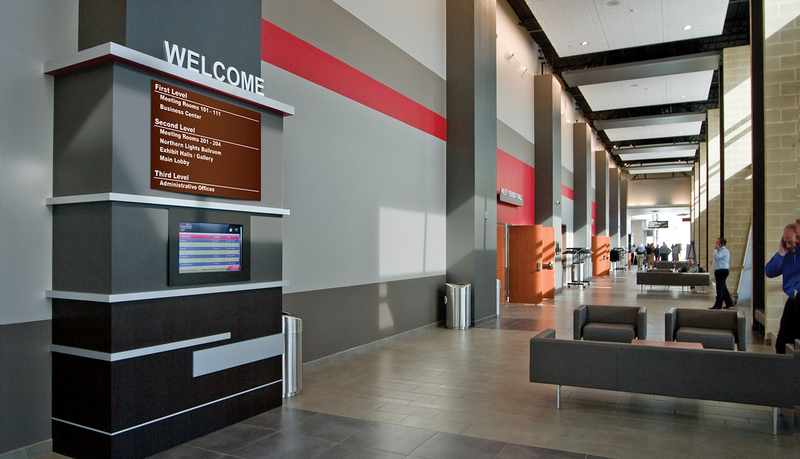 The digital signage solution is comprised of a five-panel main entry kiosk, wayfinding displays, and room ID displays for each meeting room and banquet hall. 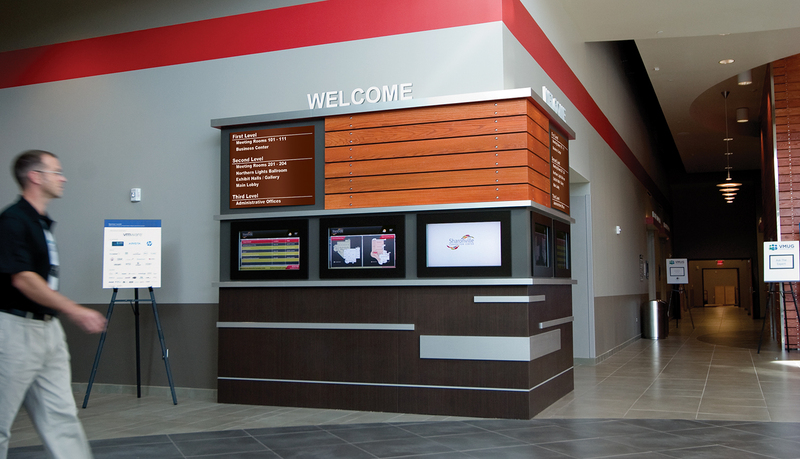 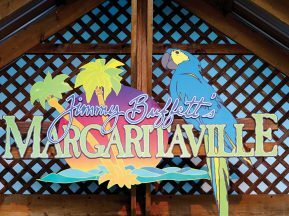 In addition to the digital signage, ASI fabricate and installed a custom interior signage solution that included suspended signs, ADA-Ready™ room ID signs, and a large multi-color vinyl logo that greets visitors as they enter the center. 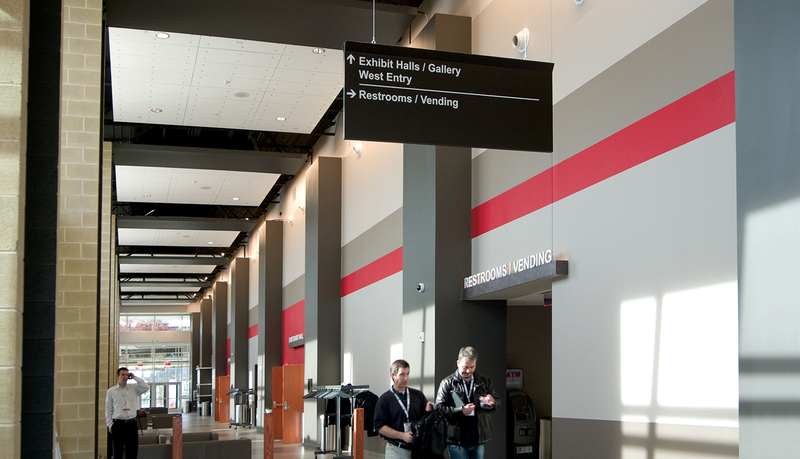 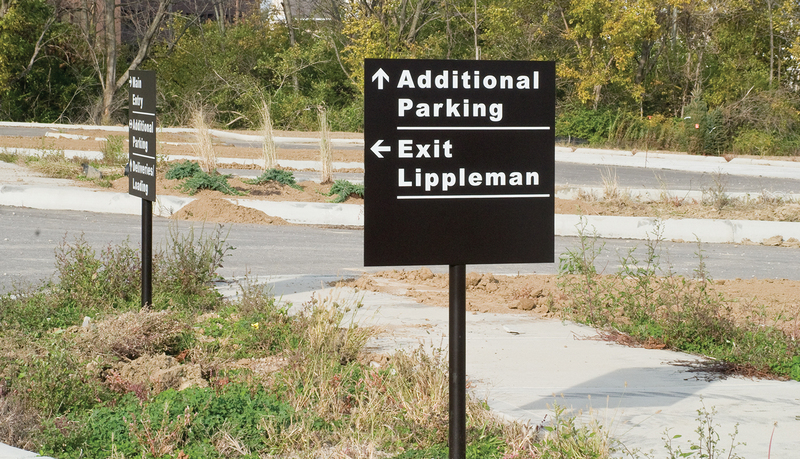 ASI also provided custom exterior directional signage to help guide visitors throughout the parking areas surrounding the convention center.